Congratulations to Doug! I will be contacting him ASAP to obtain his shipping address for the book. If he does not respond to my email within 48 hours, a winner up will be chosen. Many thanks to everyone for participating in this years Octavius Winslow Book Giveaway and to Reformation Heritage Books for donating the four books for this series. Please stop in at their website to view their complete list of Winlsow books! The fourth and final book on the list that we will be giving away is Heaven Opened. click on the nifty Facebook button at the bottom of this post to post to your Facebook status. If you would like to do both of these, please feel free. I would greatly appreciate it. That’s it. You will then be entered to win. If you do not have either a Twitter or Facebook account, no worries. Just fill out the form in Step 1. We’ll let you slide. This giveaway will last one week. A winner will be randomly drawn on Monday, July 25, 2011. I will notify the winner via the email address given in the form that was filled out in Step 1, so please make sure your email address is filled out accurately. The winner has 48 hours to respond back to me with a shipping address for their book. If that winner does not respond back to me in 48 hours, a runner up will be drawn and notified. Once I receive your address, I will pass it along to Reformation Heritage Books and they will ship you the book directly from their warehouse. Thanks for entering and thanks again to Reformation Heritage Books for their generous donation! I’ll be shooting Joe an email shortly to get his shipping address. If I do not hear back from him in 48 hours, a runner up will be chosen. The next and final giveaway announcement will be this coming Monday! The third book on the list that we will be giving to someone will be Our God. This giveaway will last one week. A winner will be randomly drawn on Monday, July 11, 2011. Thanks for entering and thanks again to Reformation Heritage Books for their generous donations! I’ll be shooting you an email shortly to get your shipping address. If I do not hear back from Phillip in 48 hours, a runner up will be chosen. The next giveaway announcement will be this coming Monday! The second book on the list that we will be giving to someone will be The Fullness Of Christ. This giveaway will last one week. A winner will be randomly drawn on Monday, June 27, 2011. I’m shooting you an email now. You have 48 hours to respond. If you do not respond with that time period, a runner up will be chosen. 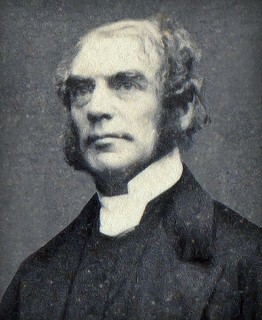 The next book giveaway will begin on June 20, 2011. Last week I made a brief mention that I would have a few giveaways this week to be had here at The Archive. Well, today is the day! 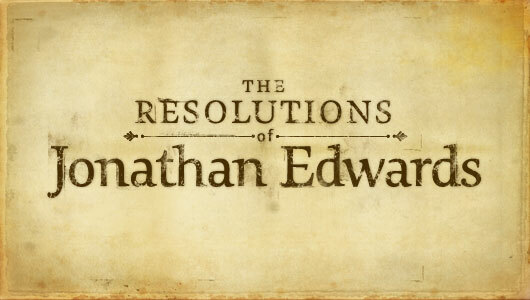 I have been asked by my good friend and fellow blogger Jacob Abshire if I would be interested in giving away 2, count’m 2, brand new, freshly released Jonathan Edwards “Resolutions” posters to readers of this blog to help promote his vision and mission. I do not normally do things like this (offer items here that are not directly related to Winslow), but the cause for which these posters are being produced absolutely sold me and I thought it would be a great benefit to you, the reader, to win one. In other words, they are not the usual junky posters you’re used to seeing at your local superstore. These posters are made to last and to last for years to come. To see the entirety of the poster, click here. The posters come in two sizes. A “full size” traditional poster size of 28″x40″ or a smaller size of 23″x33″. The two winners will have their choice of which size poster they will receive. Cool huh? And best part of all, all proceeds from the sales of the posters will help send fellow believers for solid biblical training and teaching at The Ligonier Academy! That’s reason enough to hang one of these beauties on your wall! Ok. You’re sold and you want one. “How can I enter” you may ask? All you gotta’ do is fill out this form. That’s it. Pretty tough, huh? 1) Click the Facebook “Like” button at the end of this post and leave me a comment here stating you have done so. If you are reading via a feed reader, you will have to view the original post to do so. 2) Copy and paste the following tweet into your Twitter account and let your followers know about the poster giveaway. Then leave me your “@” Twitter handle here in the comments section. So… just a quick recap. To enter, you must fill out the form. To double your chances, you can perform one of the two actions mentioned above. If you’re a really nice guy or gal, you can do both and you will have my undying gratitude. If you are the chosen winner, I will notify you via email on Monday, April 18. If you do not reply with 72 hours with your shipping address, you will be automatically disqualified and a runner up will be chosen. After I receive your address, I will then notify Jacob and he will send you the poster size of your choice. I (Matthew Blair) will not be handling the shipping of the posters. If you do not win one of the two posters, you can always buy one for yourself and help fellow believers fulfill their calling at Ligonier Academy!